NC Architecture was commissioned for a regeneration project, to transform the derelict former Dairy Crest site to a desirable family living environment, by creating a mix of residential units comprising 138 one bed and two bed apartments and 19 three bed / two bath townhouses. 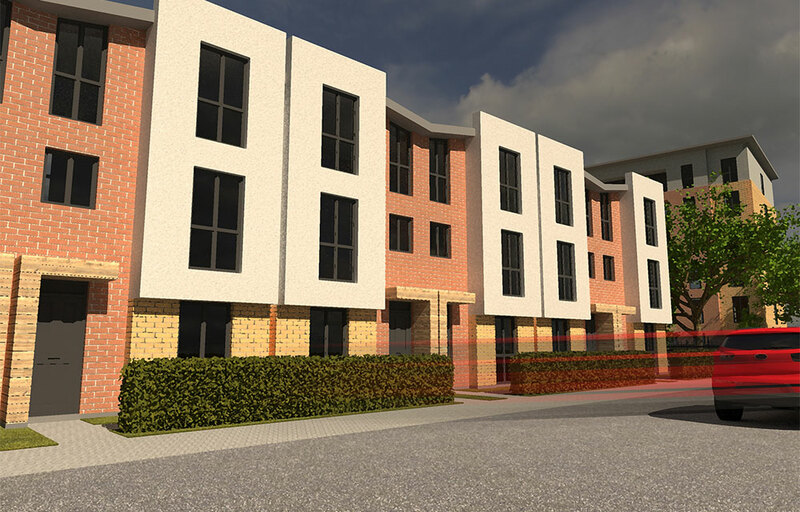 The site is within a few minutes drive of Oldham Town Centre and close to Manchester City Centre, overlooking the Rochdale Canal. 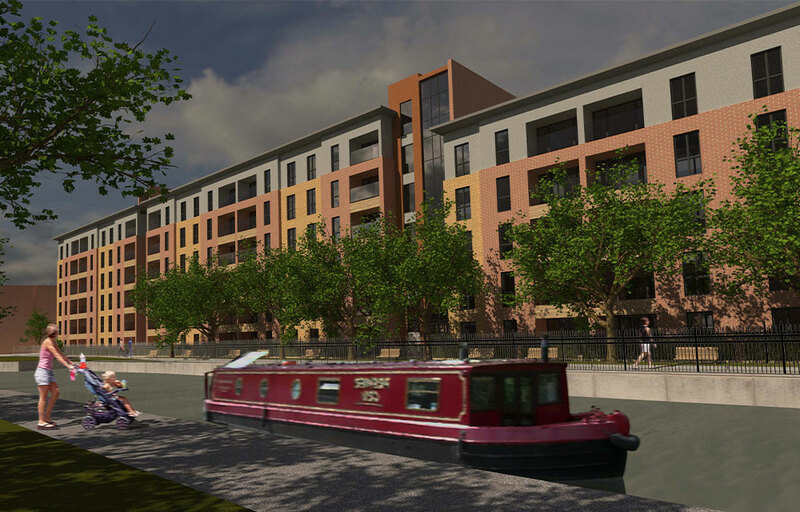 The apartment block has been designed following the mill architecture that fronts the canal side, to create a well-balanced frontage overlooking the canal. 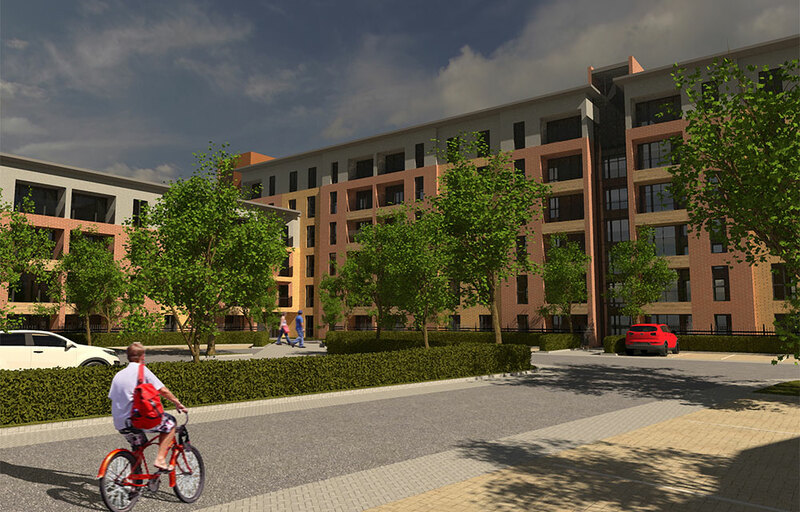 The scheme adopts a stepped concept, resulting in a six storey and five storey canal façade and a four storey T-shaped block, that compliments the shape of the site and makes the most economical use of space available. 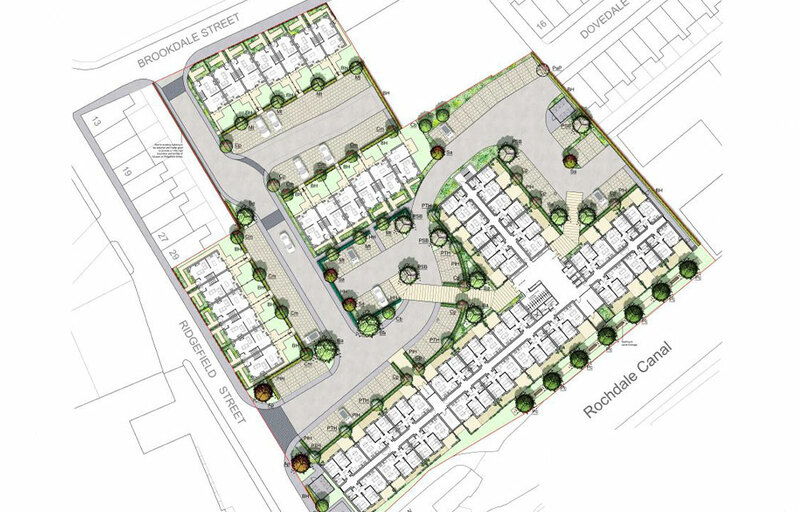 There is a row of three bed townhouses facing Brookdale Street and Ridgefield Street, with private front gardens and two car rear driveways, which provide for desirable family homes. 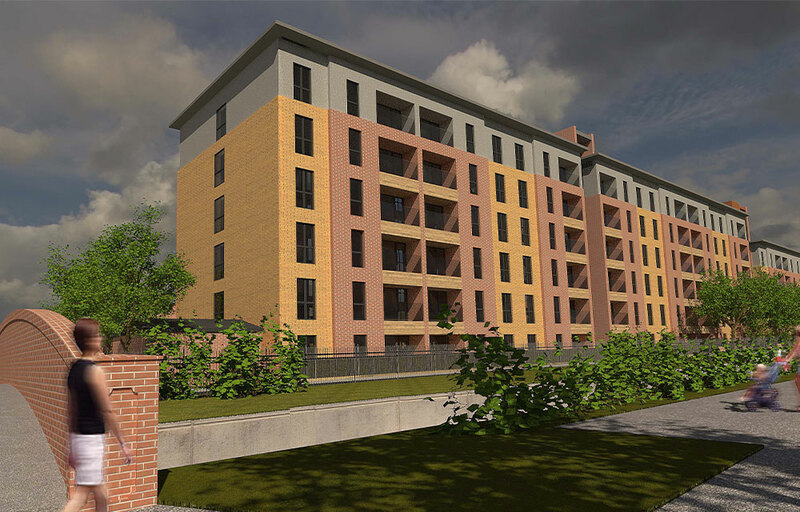 The private front garden concept has also been offered to all the ground floor apartments.